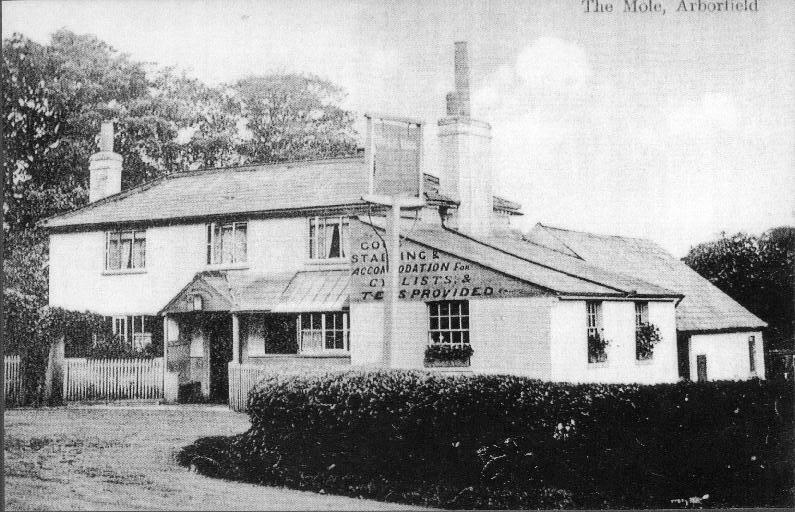 The Mole Inn has been a private house since 1956. It is now known as Argyll House, and it appeared in the news in recent years after three cars hit the wall in the same frosty morning. There is evidence that the 'Mole' was an inn before 1765, when Edward Savage took the tenancy from Henry Coles. It had been tied to the Simonds brewery since at least 1802 when William Blackall Simonds bought the inn and its land from Sander Willson of Swallowfield and his wife Elizabeth (née Allwright, from Arborfield). Thomas Pride's Map of 1790 shows that there were many more cottages near to the 'Mole' at that time. On the portion of the map shown below, Carter's Hill is at the top, and Arborfield Cross is at the bottom. Church Lane is off to the left, two-thirds down. However, the present-day Mole Road didn't seem to exist (it was probably created when Bearwood Mansion was built in the 1800s). 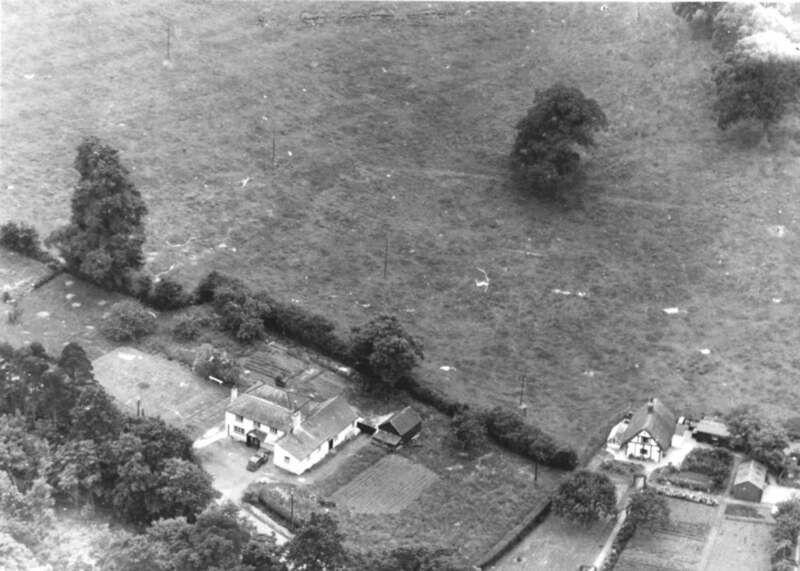 Instead, the track across 'Barewood Common' passed to the north of what's now known as 'Cordery Cottage' and continued to the south-west along a lane that has long since disappeared. 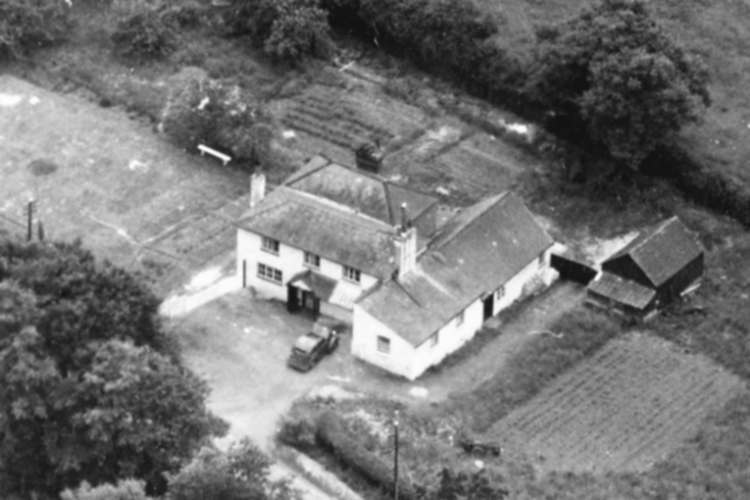 It emerged at Church Lane by Reading Room Cottage (which didn't exist in 1790). There were several more cottages at Hughes Green than exist today. At the bottom right of this map is Langley Pond Farm. Click on the image to see more of the map. HUNTING NOTES: MR. GARTH’S. 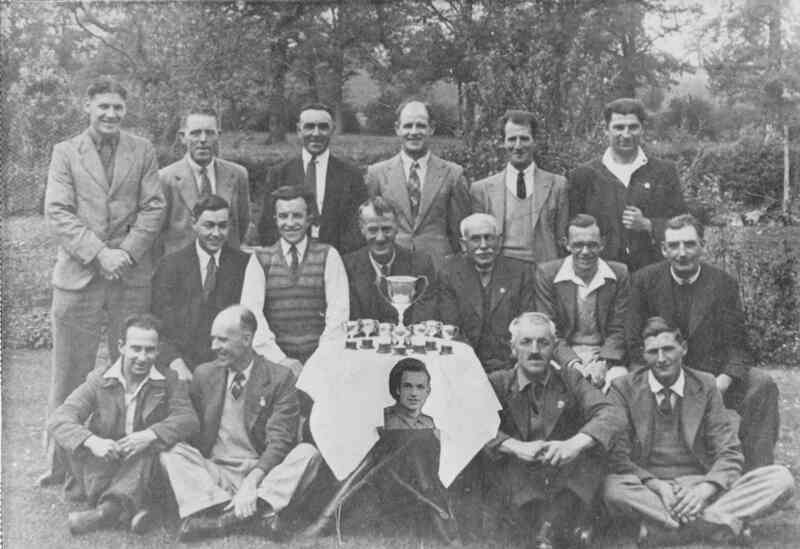 10th – The Mole, Sindlesham. Larger field out. Found a leash in Carters-hill, the property of that great sportsman, Mr. Jas. Simonds. Hounds settled down to one and drove him at a cracking pace to Arborfield Hall and on to Moor Copse, where he swung left-handed to Brick-hill over the hill to Wivells, passing on to Bramshill-common, where hounds threw up and could do no more with this good fox after a good 40 minutes. Found again in Foxhills, running at a rare pace over the open to Longmore-bog, turning left over the Wokingham road and on to the Ridges, where a lot of tussling hunting hounds had to be stopped, as horses were dead beat. Here is a postcard view of the building when it was a public house. 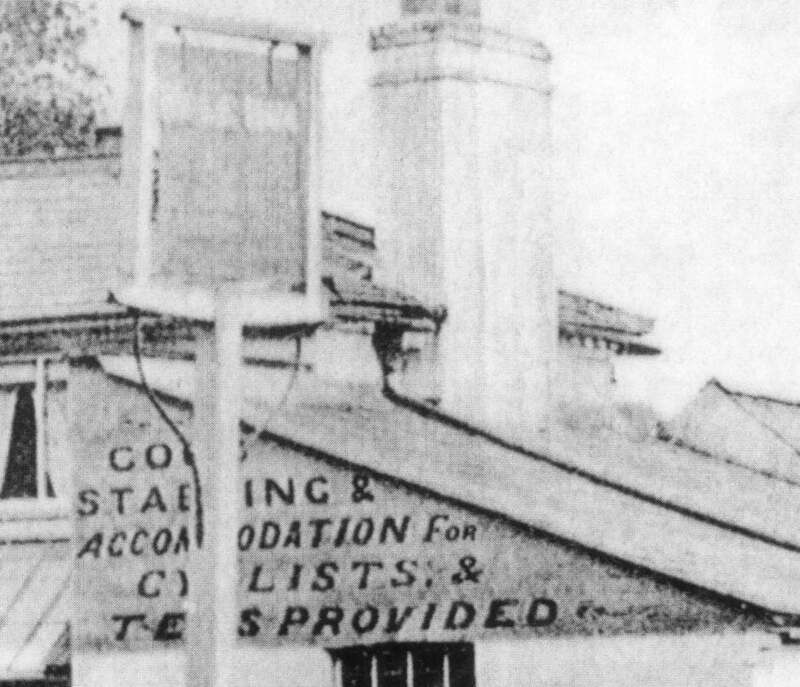 Here's a close-up of the writing on the wall of the lean-to extension; the 'Mole' was in the business of providing teas as well as beer (see the 'Swan' Tea-Garden here). 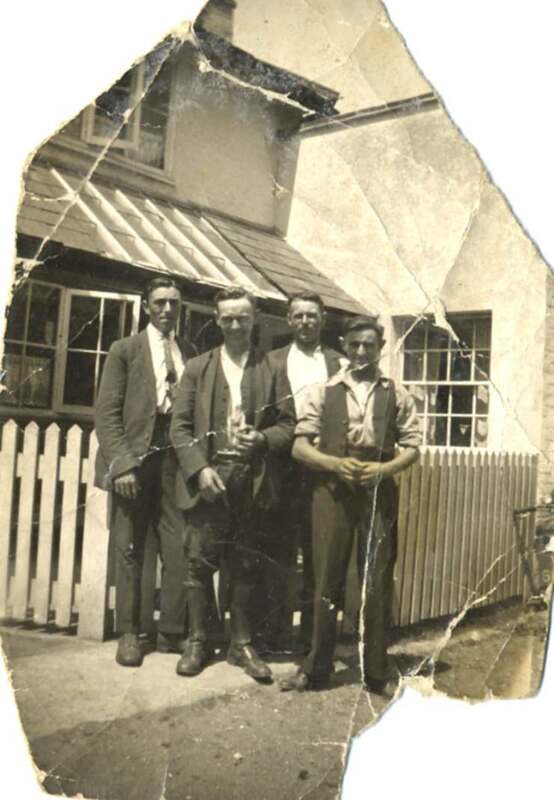 According to Deeds from 1807 now in Berkshire Record Office, the tenant was 'Thomas Mileman'. The 1841 Census shows that Samuel Mileham was Landlord, and he combined inn-keeping with carpentry to supplement his income. Was he related to Thomas? The surnames look very similar, and a 'Thomas Mileham' was buried at Hurst in 1814, 'aged 55'. The September 1815 Quarter Sessions for the Forest Division of Berkshire name Samuel Milam as a 'Victualler' in the parish of Hurst. By 1851, John Giles had taken over. Thomas Dickens was Landlord (and also a shoemaker) for several years, being first recorded in the 1861 Census and still there in 1881. George Kennard, from Hastings in Sussex, was Landlord from at least 1889 until his death in 1900. His widow Ann, who hailed from Stanford Dingley, took over for another three years until her death in August 1903, aged 67. George Henry Newman is known to have been Landlord since at least 1911 until some time during the 1920s when his wife Louisa took over until the early 1930s. The 1933 Electoral Register lists Alex Walter Adams and Gertrude Louisa Adams as residents, and the 1935 Kelly's Directory states that Alex is the Landlord, though by December 1934, he had died and a new Tenancy Agreement had been signed with his widow. In 1939, the Landlady is 'Mrs. Fanny Adams', though the Electoral Registers of 1939, 1946 and 1950 still list her first names as 'Gertrude Louisa'. 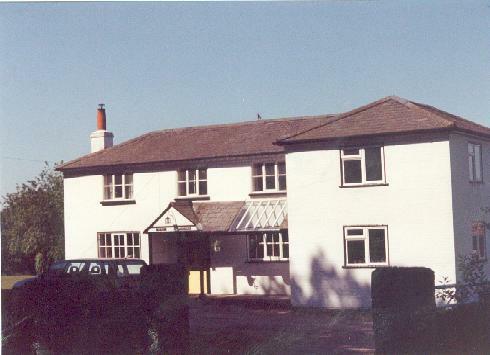 She re-married on 29th March 1952, to Gerald Lawtey; by 1960, they had moved to 2 Brook Cottages in Hughes Green. In 1945, former members of the Home Guard formed the Newland (H.G.) Rifle Club at the 'Mole'. 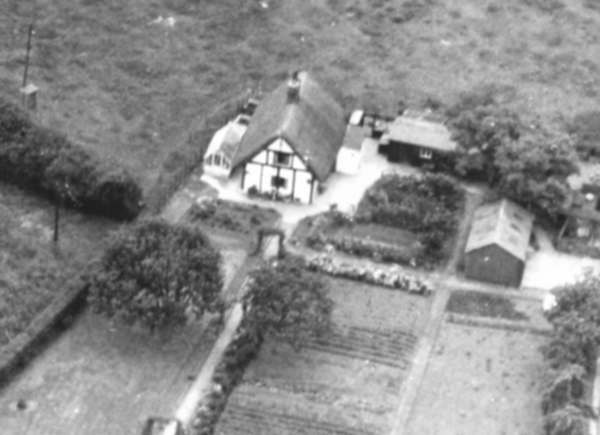 Reg Cordery, who lived next door to the 'Mole' at 'The Glen' (now 'Cordery Cottage') has kindly provided an aerial photo of the two properties from around the 1940's, plus photos of the Darts Team.
? 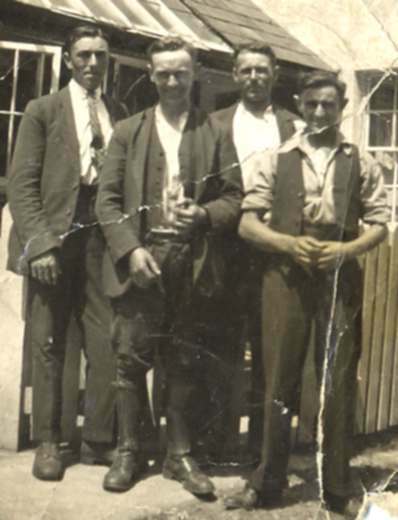 Johnson (son of Jack), Alec Coker, John White (only a photo), ? Cooling (dad of John), John Cooling. Click on the image to see the whole photo.